It’s been three years in the planning but finally it’s all coming together. In mid July, eight Year 11 students from St Joseph’s East Gosford will be flying into Timor-Leste to participate in the Mary MacKillop Today immersion. I have just been viewing all the sites, eating venues and accommodation the girls will be visiting and they are bound to be impressed. All this aside, the most unique and valuable learning will occur when the Australian students and their teachers take part in the programs run by Mary MacKillop Today. Amandio, Celestina, and Antonio are the Mobile Learning Centre team co-ordinators. The girls will be trained by these enthusiastic, dedicated teachers and then travel with the Mobile learning Bus to schools and take part in lessons. The students are learning songs in Tetum, storytelling in Tetum and games. It is our belief that our attempt to participate in the lessons in Tetum sends a clear message to the children that your learning is important, we are the visitors but we want to be a part of your culture and future. 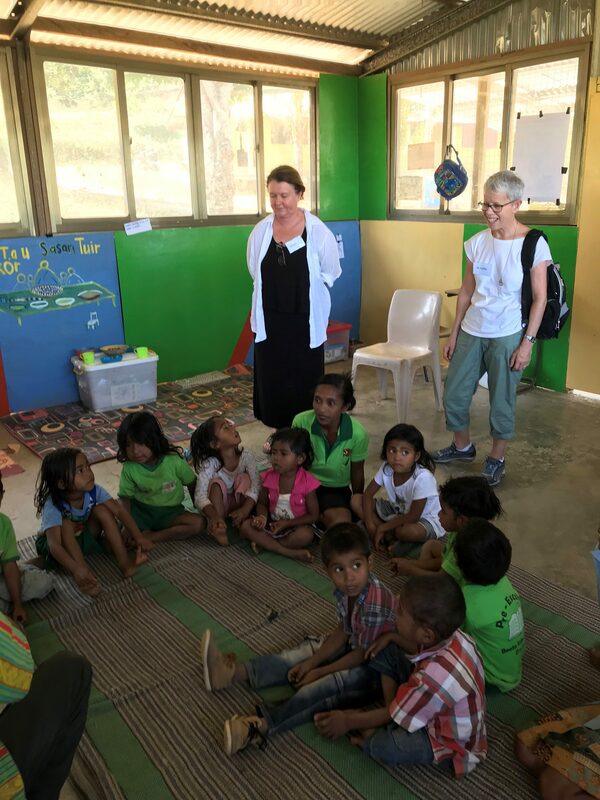 Tina and Bonnie have invited parents from the parent and health programs to tell the Australian students their stories – stories of how the programs have assisted them in their families to discipline in a positive manner, encourage reading and a love of learning and improve hygiene standards in the family home. Getrudes, Laurencia and Anabela have invited the Australian teachers to learn about the Mary MacKillop Today teacher training program. We plan to sit together as a group of professional women, and exchange ideas for excellence in classroom teaching. The programs are outstanding. The staff work with head and heart to bring education to children and entire communities. What is happening in Timor is in keeping with the work and traditions of the Sisters of Saint Joseph. I believe Mary MacKillop would be very pleased with the work and smile with pride at the thought of the next generation of Josephites (students from Australia and Timor) learning from each other in order to “Teach more by example than by word,” just as Mary MacKillop did.